Recently the Communications Workers of America - the union that represents T-Mobile employees -- contested a T-Mobile Employee Handbook clause on maintaining a positive work environment. The clause reads as follows: "[e]mployees are expected to maintain a positive work environment by communicating in a manner that is conducive to effective working relationships with internal and external customers, clients, co-workers, and management." Their reasoning was that - if employees are discontent - they need to be able to freely air that displeasure. The U.S. National Labor Relations Board agreed with them, ruling in favor of the union. 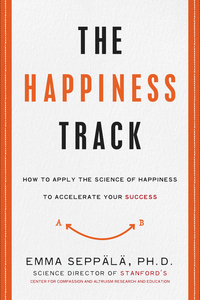 "It's official: employers can't force you to be happy. Hallelujah," cried the Guardian. Clearly, employees in unfair working conditions need to be able to dissent, and criticism and disagreement are part of any office. However, some companies have taken this idea to extreme levels. The Wall Street Journal reports that "front-stabbing" is being embraced by managers tired of "dancing around the issue." Val DiFebo, CEO of Deutsch's New York office, understands such confrontation as "more big-hearted and caring ... than going behind someone's back." Certainly a culture that involves back-stabbing is not a good option; however, front-stabbing may not be much better. The movement toward radical frankness emerges out of the false assumption that having a supportive workplace is antithetical to honest, straightforward, no-nonsense feedback. And the backlash against positive workplaces arises from the equally false assumption that being happy at work means being "relentlessly positive all the time" as the Guardian put it. Kim Scott, who worked directly for Sheryl Sandberg at Google, recounts a time when Sandberg gave her candid feedback on her presentation mannerisms: "When you say 'um' every third word, it makes you sound stupid." For Scott, it was a turning point. But the reason Scott could take that feedback so well was that "I knew that she cared personally about me. She had done a thousand things that showed me that." In sum, "candor" and "positive" are not antithetical. Research shows that honest and candid feedback, when given in a supportive way, foster higher performance and employee resilience. When given in a harsh and denigrating way, it destroys motivation and engagement. Moreover, we know that a positive work environment leads to greater productivity, lower turnover, and better health outcomes, while creating an environment that is hostile, anxiety-provoking, and negative leads to lower productivity, performance, creativity, and engagement. Psychological safety improves learning and performance outcomes, and, as research by Amy Edmondson of Harvard demonstrates, is created when leaders are inclusive, humble, and encourage their staff to speak up or ask for help. An oppressive culture simply cannot -- over the long run -- lead to generative results. Deliver more positive than negative feedback. High-performing organizations deliver roughly five times as many positive statements (supportive, appreciative, encouraging) to every one negative statement (critical, disapproving, contradictory). This is because bad is stronger than good; our brains focus on negative feedback more than positive feedback. (You know this if you've ever had one bad conversation ruin your whole day.) Positive communication correlates with much higher worker engagement, our research suggests. You can correct your employees, even criticize or confront them, but you want to do so in a positive context. That is when you will see the best results and maintain morale and engagement. Focus on communicating your colleague's strengths, unique contributions, and best-self demonstrations. Traditionally, we tend to focus on giving employees critical feedback. However, by focusing on their weaknesses, we only create competence. By focusing on their strengths, we create excellence. Be as specific about positive feedback as you are about negative feedback. We usually gloss over the strengths, mentioning them briefly but then focus in much greater detail on the critical feedback. Remember to add examples and details to your positive feedback. For a case study of how this can work in practice, consider Eileen Fisher, whose 800-person retail company generated $300 million in 2015. She attributes part of her success to positive communication. "I try to listen and be open to people. I invite others to share what they really think and feel by being open about my own thoughts and feelings. I approach questions with openness and a curiosity about what people actually think. I try to be kind no matter what. There is more collaboration when you come from kindness." Fisher shared an anecdote in which she approached a problematic situation in this way: "There are many examples where people with differing perspectives needed to work together. Recently, there was a situation where two employees were having a difficult time understanding each other -- there was resistance to working together. I spoke to each of them separately and shared what I saw as the gifts, talents and good intentions of the other. I invited them to get together and just listen - be open, try to support, just 'be with' the other. The result was that they both felt really good about their connection. And that's where something happens. Through connection comes creativity. And creativity is where opportunities open up." If you want to implement more positive communication, the data shows that you must do so sincerely and authentically -- otherwise it can have the reverse effect. Applying a technique disingenuously produces cynicism and defensiveness. Fisher shares that she encourages a positive and compassionate workplace "by modeling my own vulnerability and authenticity. I share my feelings and fears and believe in speaking to what is true. It's amazing to see the ideas and energy that surface by telling people the truth. You tap into this collective drive. You're able to come together and move things forward." Leaders who want to get results should thus pay more attention to the critical importance of creating psychologically safe work environments by emphasizing positive, authentic communication. You can be both candid and caring. This article originally appeared at Harvard Business Review on May 31st, 2016, in collaboration with Kim Cameron. 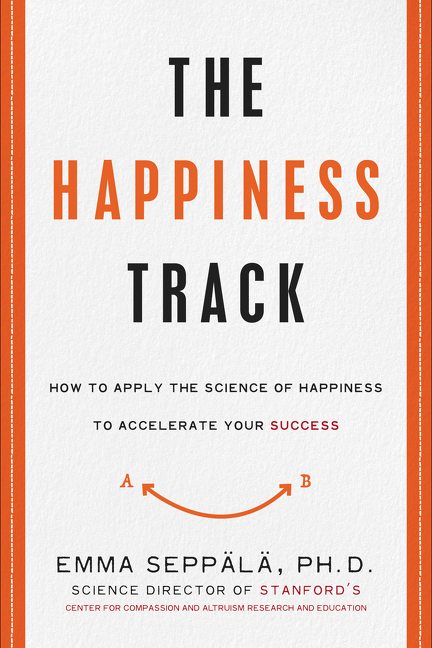 For more on this and the science of happiness, check out my book, The Happiness Track, out now!